Buffer is a smart way to share what you want on social. It's a cross-platform scheduling platform that supports the largest social networks. So whether you're a big or small solar dealer, Buffer is a marketing tool that can take the headache out of social scheduling. You can read about it below or watch this short video with highlights. Offers a free version that's perfect for small business running different social media channels. Scales up as your business grows, and there are paid versions with more functionality available. Has Pablo, a free image creation tool that allows you to create simple images for your posts. Allows you to shorten your url using bit.ly or buff.ly. Gives you the option to repost performing posts back into the queue. Has a Chrome extension that allows for easy share no matter where you are on the web. Helps you find the right day and time to post. If you're not sure when to post, Buffer can schedule it where it thinks best. Allows you to manage engagement on posts within the one system. So if there are comments on a post that require replies, it can all be managed easily within Buffer. This is particularly useful when replying to various posts at once. Note, this isn't available on the free plan. 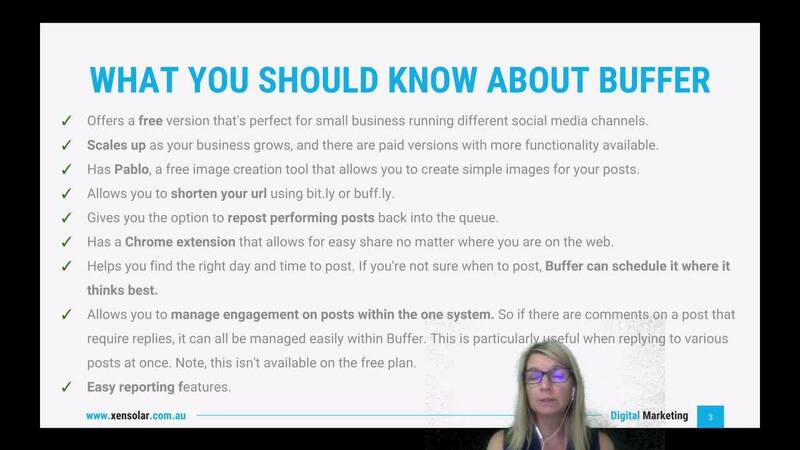 Buffer is a useful marketing tool that's easy to use across social media marketing channels. 1. It saves time! You can set up a post for Facebook, then select Instagram and Twitter (or whatever other channels) and those posts are automatically created. You don't have to write three different posts for each channel. 2. Easy accessibility + peace of mind. This is not only for the dealer but also the person managing social channels. For example, if you have an in-house marketing resource or you outsource your marketing to an agency (like XEN Solar) then everyone has one simple login. The marketing resource schedules everything and the dealer can sign in to double check before anything is published. We understand that not everyone is an expert in setting up and maintaining a Buffer account. We offer this marketing tool as part of our everyday services for your solar dealer customers. We understand that even with all the information available at your fingertips it can be stressful trying to figure it all out. 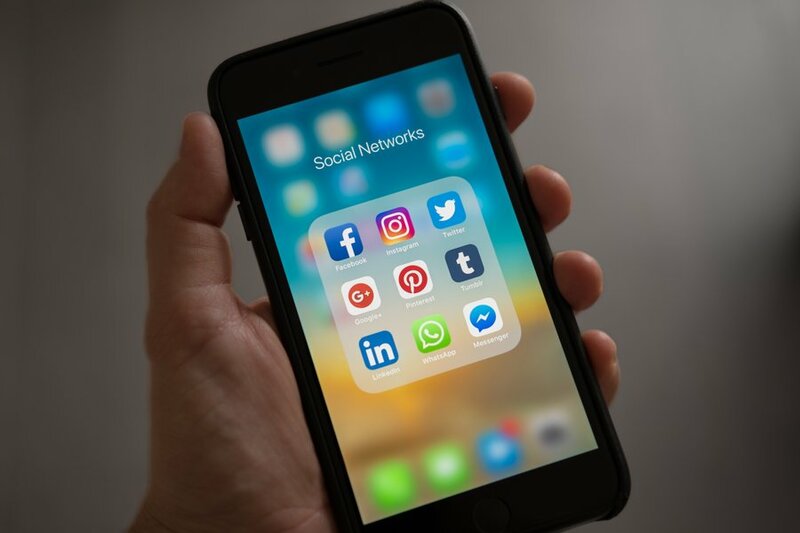 If you're a solar dealer looking to streamline your social posts please contact us today.